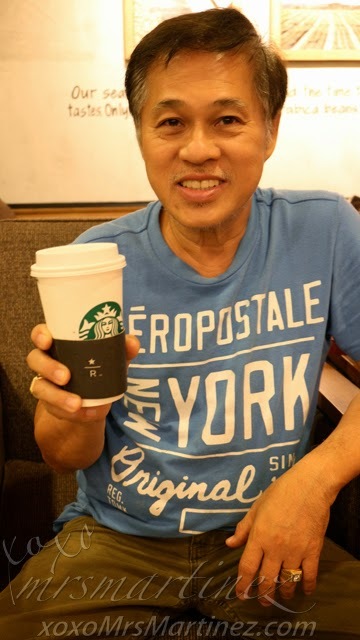 I went to the much-talked about Starbucks Reserve in Tomas Morato Ave., Quezon City two weeks ago with my fambam. I got curious by the buzz and want to know what the hype is all about. 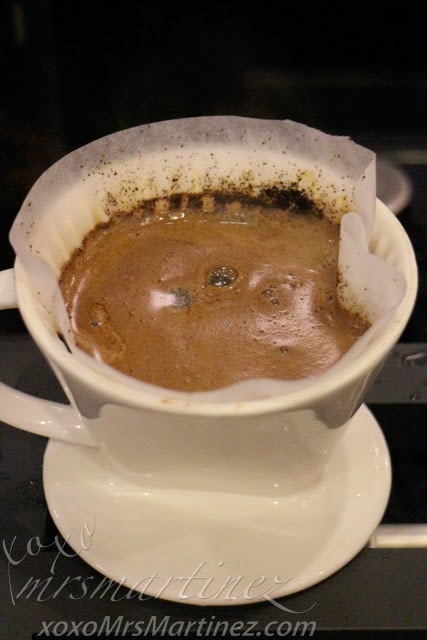 Did you know that Starbucks Reserve coffees are the precious few that the company encountered? The coffees will be offered only for a limited time at select stores. 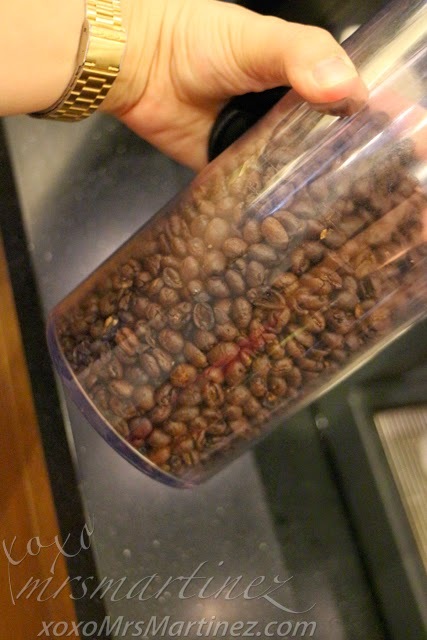 These handpicked peaberries are rare because according to my barista there are only about 5 (? )-10% that are single rounded beans from the entire crop. It originated in Zambia Southern Africa, particularly in Terranova Estate- a long time supplier of premium Arabica leaves for Starbucks. Terranova Estate has already stopped producing Zambia Peaberries so this might be the last time that you can get to try it. My mom's Zambia Peaberry made right in front of us. 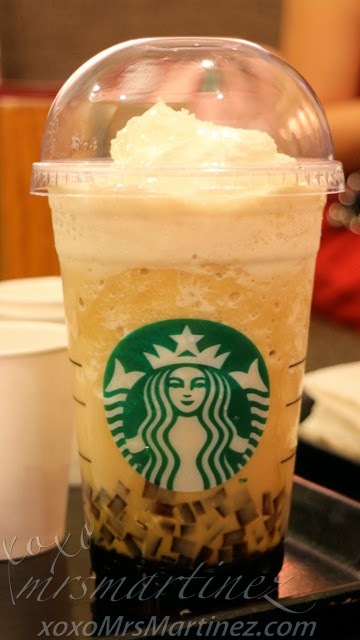 She said it was bitter and strong compared to the other Starbucks coffees that she had tried. But then again, this is her first time to try Starbucks Reserve and she can't compare it from the other ones on the list. Hmmm... maybe on our next visit. 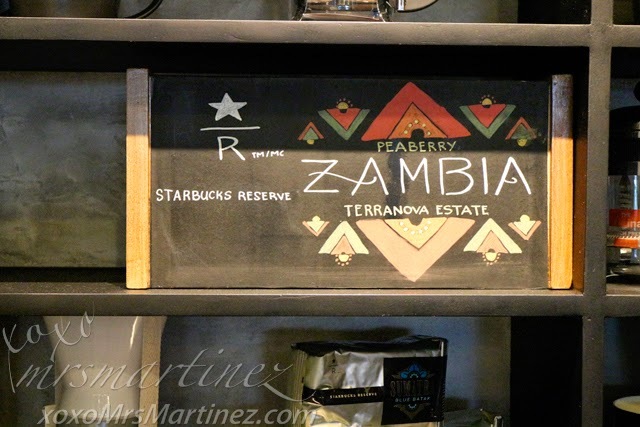 According to Starbucks, Zambia Peaberry Terranova Estate has citrus aromas, apple and vanilla notes and a cocoa mouthfeel. 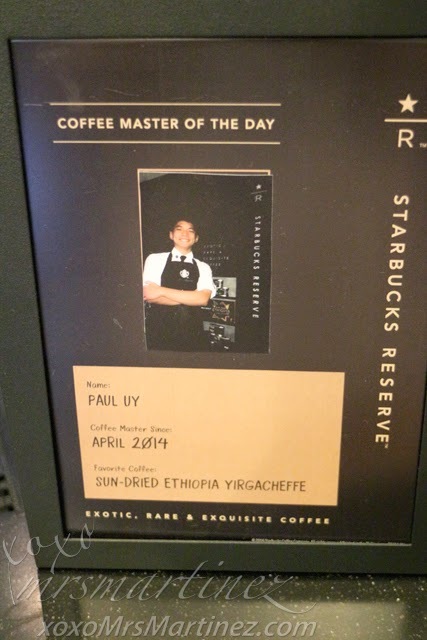 Other Starbucks Reserve Coffees are Finca Nuevo Mexico, Sundried Ethiopia Yirgacheffe and Sumatra Blue Batak. Prices range from PhP 130 to PhP 170. Triple Belgian chocolate has double the amount of decadent Belgian chocolate chunks and deep filled with a Belgian chocolate sauce. 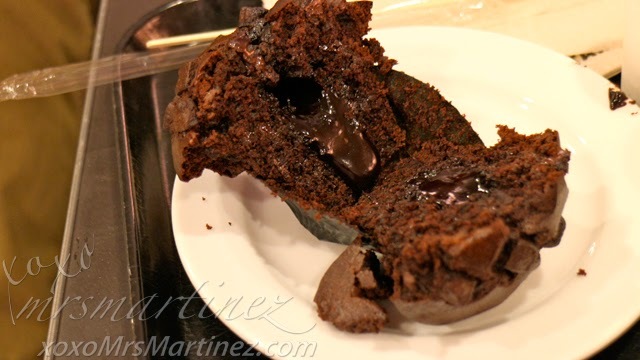 look what's at the center... decadent Belgian chocolate! 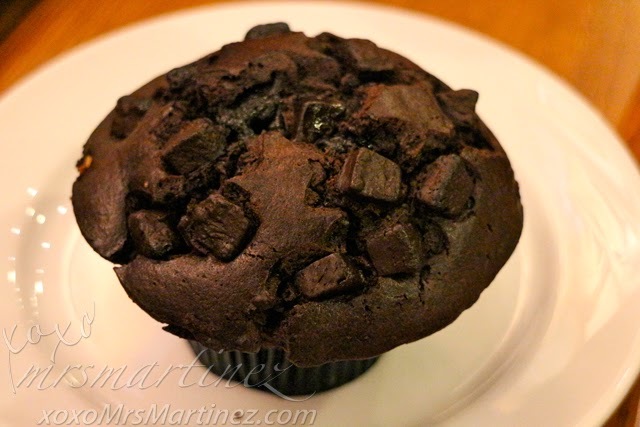 This is super rich and moist chocolate muffin. I can hardly finish it, best to share it witht he ones you love. 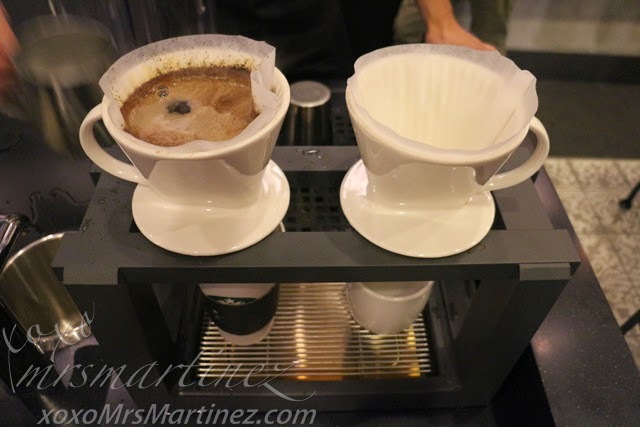 Starbucks Reserve is located in 212 Tomas Morato Ave., cor. Dr. Lazcano St., Quezon City. There's another one at the Ground floor Eight Forbestown, Burgos Circle, BGC, Taguig.